Looking to get started with essential oils? 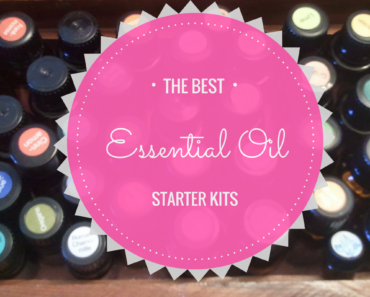 It can seem overwhelming to understand how they work and which oils to buy, so many people love to get starter kits that bundle the main items they need in a handy kit. This guide was created to help you figure out if you need a starter kit in the first place and if so, which kit is best for you. Young Living and other big essential oil companies like DoTerra have starter kits, but they are only available for wholesale purchase by members. You’re probably wondering what does a wholesale membership entail? These companies have wholesale memberships which are basically a more polished way to say … multi-level marketing. MLM business models empower people to earn a profit by working hard to promote products they believe in. So if you’ve ever been invited to a Pampered Chef, It Works or Mary Kay party, then you know what I’m talking about with the MLM model. The Young Living starter kits are designed to help kickstart the businesses of members who join their program. You become a member and get 24%+ off the retail price with your membership wholesale pricing. If you aren’t quite hooked on essential oils yet and are just looking to dip your toes in the water (I mean oil), then getting just a retail starter pack with no commitment or membership sign up process is the easiest route. If you think you will buy a lot of essential oil products each year or are looking to make some extra money on the side, then your best bet is to become a wholesale member and get a starter kit. You’ll save a lot of money with their membership program and you can make money if you spread the love and get your friends involved in essential oils. You can read all about the perks and awesome benefits of joining their membership program here. Young Living offers two different types of starter kits for you to choose from: basic and premium. The basic starter kit is the cheapest way to get started and try a few samples. Young Living also gives you a pack of resources to start promoting your business. You’ll get adorable business cards, product information and essential oil education materials. A wholesale membership also gets you access to training, updates and a supportive community to help answer your questions. This essential oil has an incredibly relaxing tropical scent. Stress Away is an essential oil blend of Lime, Cedarwood, Vanilla, Lavender, Ocotea (an essential oil from an Ecuadorian tree) and Copaiba (a rare essential oil with a sweet aroma that is extracted from the tropical Copaiba tree in Brazil). This can be diffused or rubbed topically to reduce stress and make you feel like you’re on a tropical vacation. The roller fitment allows you to turn any essential oil bottle into a roller, similar to a perfume bottle with a roller you would buy at the store. This allows you to easily roll any essential oil on your neck, wrists or wherever you prefer. Make sure to read the label on the essential oil bottle before using the roller because many essential oils are dangerous to apply directly to your skin without dilution. You get to sample a variety of essential oils to easily and cheaply discover which scents you love the most. You’ll get two samples of each: Lavender, Peppermint, Lemon, Peace & Calming® and Thieves®. These sample bottles come with lids and drop reducers so you can use to share essential oil samples with your friends and family. This dietary supplement is great to drink everyday for a big antioxidant boost. It contains wolfberry, also known as goji berry. Wolfberry is commonly known for its health benefits because it has powerful antioxidants, iron and vitamin C. NingXia Red® also has a variety of citrus essential oils and plum, aronia, cherry, blueberry, and pomegranate juices. You’ll look legit with these cards that you can pass out with your samples to spread the word about your business. Young Living currently has 7 different premium kits for people in the US and one kit for international buyers that has a diffuser with the appropriate voltage for other countries. In the premium kits you’ll get everything listed above in the basic starter kit plus 10 premium 5-ml essential oil bottles and you’ll get to choose one premium addon. The premium addon choices are a variety of essential oil diffusers, a NingXia Red® kit, or a Thieves® personal care and home cleaning starter kit. There is also a specialized premium starter kit for military personnel that can be shipped abroad and is designed to provide stress relief and support for those who serve us. Still wondering which Young Living Starter kit is best for you? Ask yourself these questions to help decide. Is budget a big concern for you or are not as concerned about the price tag? Based on how much you want to spend you can choose the right starter kit for you. If you are pinching pennies then you could get the basic starter kit and get a cheaper diffuser on Amazon. If you’re really worried about finances and you are brand new to essential oils, then you could just order one bottle and see how you like it before getting a whole kit. Do you want a diffuser? If you’re new to essential oils, just keep in mind that one of the best ways to enjoy them is with a diffuser … which will cost more than topically applying oils. If you already have a diffuser and want to test out the Young Living Brand then your best bet is to get the basic starter kit, the NingXia Red® or Thieves® premium starter kit. How much variety do you want to try out? If you want a very broad taste of different essential oils, then getting the premium kit is a no brainer. You’ll get to try more scents and overall save a bunch of money with the bundling of the premium essential oil collection. Whichever starter kit you choose, you’ll be in great shape. There’s no bad choice! These kits are all wonderful ways to get started with essential oils and learn more about how to replace synthetic and toxic commercial products with natural homemade solutions. Here are some other starter kits from other brands if you want to compare and contrast!